AC Milan officials reportedly held a four-hour meeting with agent Mino Raiola, with Zlatan Ibrahimovic the main topic of their discussions. 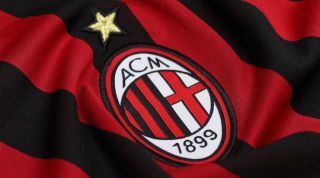 The Rossoneri are currently light in attack, as coach Gennaro Gattuso only has Gonzalo Higuain and Patrick Cutrone at his disposal in that department. Given that Milan are competing on multiple fronts and arguably need that extra bit of quality to break back into the top four in Serie A as well as go on a long run in the Europa League, bringing Ibrahimovic back could be a sensible move. As noted in respected Milan journalist Antonio Vitiello’s tweet below, a four-hour meeting was held between Milan officials and Raiola on Monday, and it’s insisted that Ibrahimovic was the focal point of that meeting. The 37-year-old scored 56 goals in 85 games in his previous stint at Milan while winning a Serie A title. Having proven in MLS this past season with LA Galaxy that he can still produce and be a talisman, a return to the San Siro could be a great solution. Meanwhile, with Alessio Romagnoli, Mattia Caldara and Mateo Musacchio currently sidelined through injury, Gattuso has a major injury crisis on his hands in defence. Those absentees will likely expose a major flaw and lack of depth in the Milan squad, but if they see Juventus defender Medhi Benatia as a possible solution, they’ll have to splash out €20m in January, as per Calciomercato. Time will tell if a deal can be agreed with the two rivals, but with Benatia struggling for playing time in Turin behind Giorgio Chiellini and Leonardo Bonucci coupled with Milan’s need for defensive reinforcements, it certainly suits them both to make it happen.